Beginning on May 5, 10 graduating art majors will explore a variety of compelling and often personal themes, from the experiences of first-generation college students to honoring a Native American ancestry, during the Elmhurst College Department of Art’s 50th Annual Spring Capstone Art Exhibition. The high point for every graduating art major, the Capstone Exhibition requires students to create a body of work in their area of concentration, plan their exhibition and design the promotional materials for it. Sarah Rose Anderson, of Darien (painting and drawing), was inspired by her grandmother, who was Tyendinaga Mohawk, to create mixed-media portraits in honor of the Tyendinaga Mohawks, who were brutally slaughtered in the 1700s. “I decided to leave the eyes on each face blank, to represent the hardship all Native Americans have experienced both in the past and modern-day, leaving each face looking haunted and sad,” she said. Alissa Cichelli, of Addison (graphic design), created a fictional company, “Works of Women” that creates products featuring the art of women. “My company, even though it is fictional, was created to empower and inspire girls and women,” she said. Maria Garcia, of Chicago (graphic design), focuses on the stories of six individuals who are first-generation college students. The project features a video and the layout for a 32-page magazine. 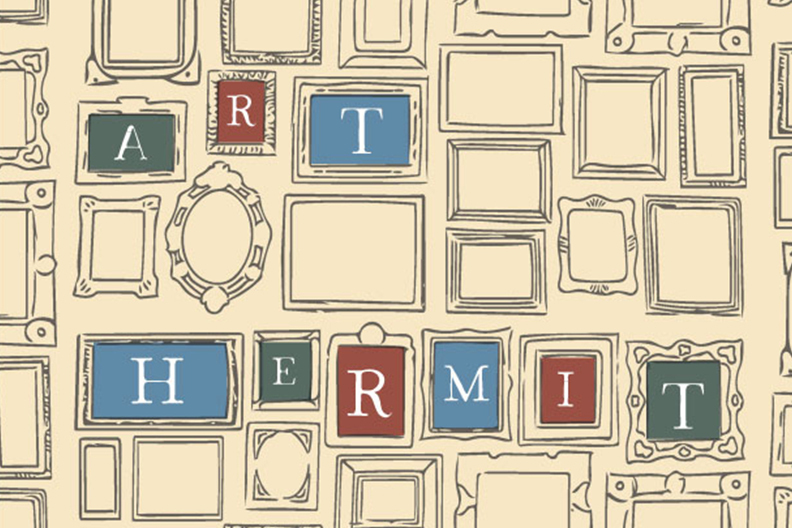 Amy Renee Johnson, of Palatine (graphic design), uses illustration, photographs and graphic design to create “Art Hermit,” a fictional social media event planning service that brings together people with a shared interest in fine art. Catherine Schroeder, of Palatine (graphic design), paid tribute to her family by creating an identity for the fictional Viola Patisserie and Café, a modern bakery named in honor of her grandmother. This exhibition is one of about a dozen art shows that Elmhurst College hosts each academic year in two campus venues. In addition, the College’s A.C. Buehler Library permanently houses the College’s unparalleled collection of Chicago Imagist and Abstractionist Art, which explores the vibrant, often outrageous, yet precisely crafted works of Chicago artists between 1950 and the present. For more information, please contact Suellen Rocca, curator and director of exhibits, at (630) 617-6110 or srocca@elmhurst.edu.